Bryan Conner from Milan, Missouri in the USA. 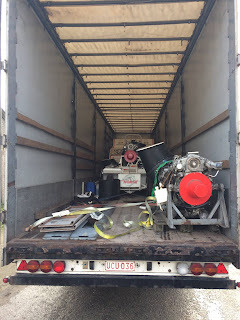 Bryan building Pulling Parts (Conner Fuel Systems) for other Teams in the US. pullingworld.com: What are you doing in your normal life? Bryan Conner: Repair/Machine Shop, former pharmaceutical sales representative. 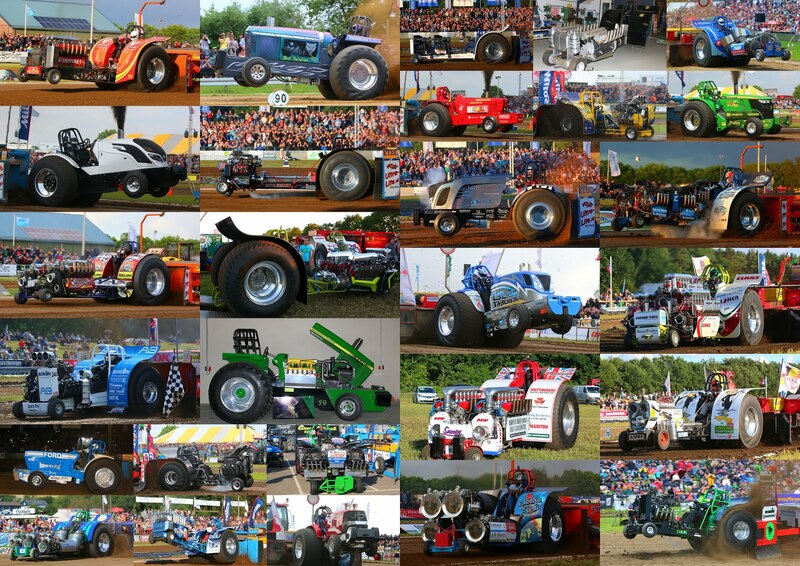 pullingworld.com: What do you like to do in your free time, except Tractor Pulling? Bryan Conner: That’s a tough one as about all I do is work and go to pulls! Used to go to the lake , but been a while since I’ve done that. So I guess hanging with my buddies and talking Tractor Pulling. 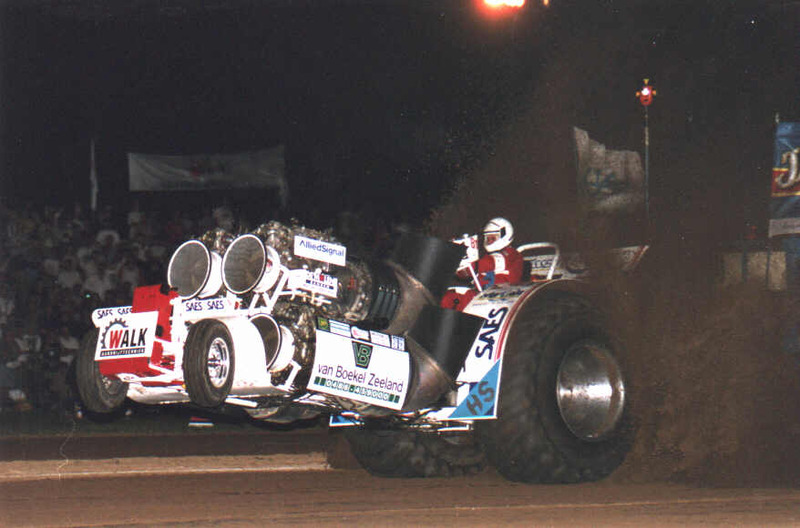 pullingworld.com: What do you like on Tractor Pulling? Bryan Conner: The hp and technical/engineering aspect of it. 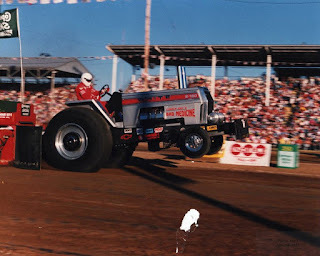 pullingworld.com: What was your first Tractor Pulling event? Bryan Conner: Probably around 1965-66 as a small boy with my father local hometown pull. I was born in 1960 so I was 5 or 6.
pullingworld.com: What is your favourite Event / Pulling track? Bryan Conner: For NTPA either Tomah or Bowling Green, for PPL Franklin, KY and Henry, IL, for Outlaws Rock Valley and Wisner. 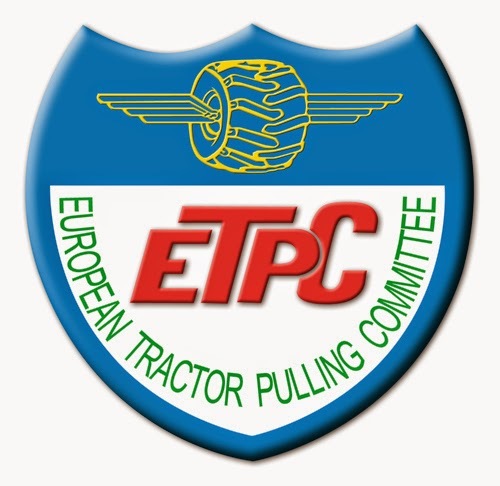 pullingworld.com: When and where do you have driven a Pulling Tractor for the first time? pullingworld.com: What was your biggest success? 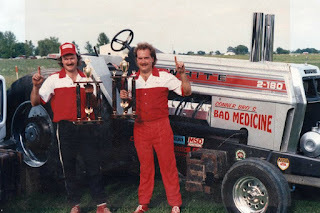 Bryan Conner: Winning the 7500lb Super Stock class points in 1990 with Bad Medicine in its debut year, followed up by back to championships in 1991 and 1992 when diesels had previously dominated. pullingworld.com: Which Pulling classes do you like too? pullingworld.com: What was your biggest disappointment? 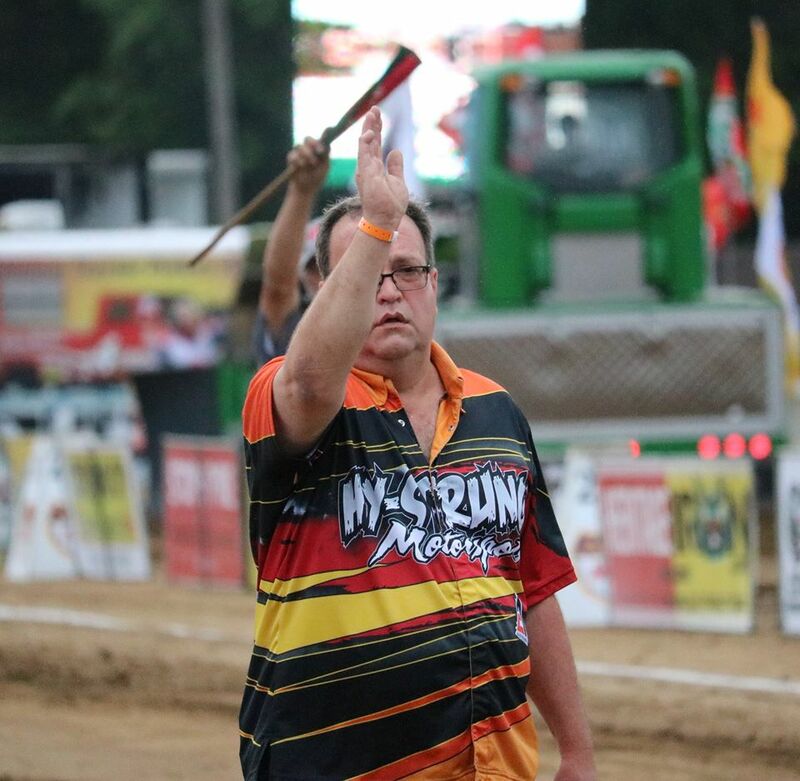 Bryan Conner: Not sweeping Bowling Green pull in 1991 and 1992, we won 2 of three hooks both years there and got 2nd both other times I believe. pullingworld.com: Which things must be change in the future of the Tractor Pulling sport? 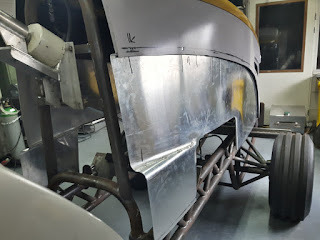 Bryan Conner: I hate to say it, but it may be time for limits in the super stock class as the expense keeps going up exponentially without the purse keeping pace. (Something I never thought I would be an advocate for) That being said the purse needs to increase and a better effort made to bring sponsor dollars into the sport. We must increase brand awareness and attendance in order to achieve this, so to whatever ends that implies we must work together to accomplish this. 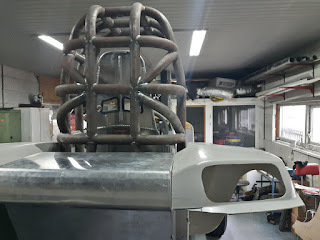 pullingworld.com: What's your plans for the future in Tractor Pulling? 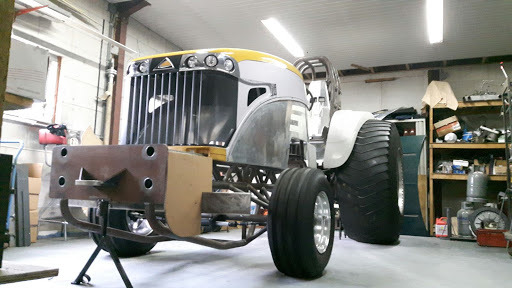 Bryan Conner: Continue to build parts, assemblies and complete tractors for customers. pullingworld.com: What was for you the most important moment in the sport? Bryan Conner: Television exposure and social media. 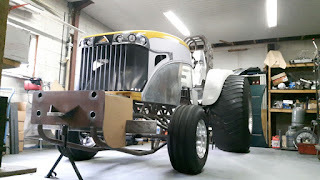 pullingworld.com: What was your favourite Pulling Tractor project in the workshop during a winter? Bryan Conner: That would have to be without a doubt the Too Hy-Strung D-21 of Brice Terry Implement from Gallatin, MO. Absolutely the nicest guy, dealership, and family you will ever meet!!! pullingworld.com: Thank you for your time and good luck! 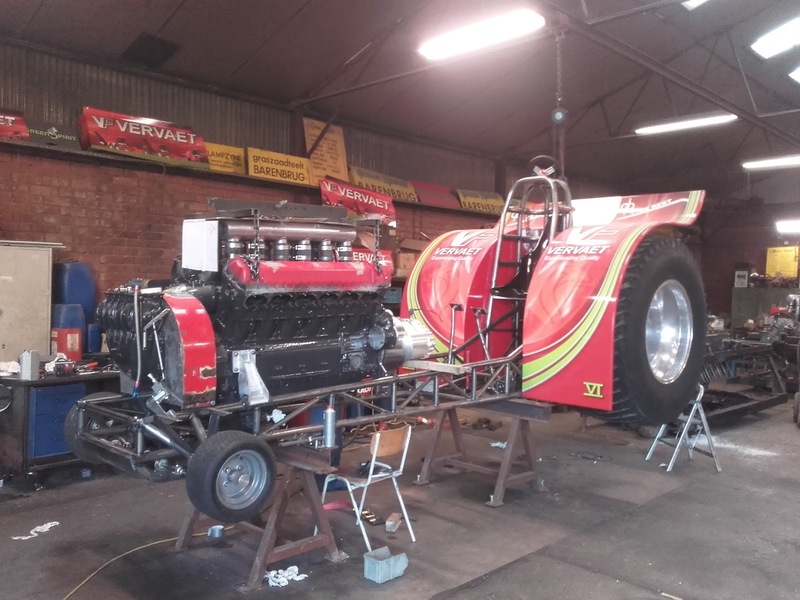 The Ruff Stuff Pulling Team (former White Crow Pulling Team) around Kees Wajer, Jaco de Lange, Marco Koers and Gerrit Bultman from Hulshorst in the Netherlands are currently working on a new CAT V8 powered Light Super Stock Tractor. The Tractor gets a homemade 25CrMo4 tube frame with a homemade Rollcage (ROP), a homemade sheet metal rear axle housing, a new drivetrain from Vreeman Special Products (Bennie Vreeman) and a new Profab HD 3 speed gearbox. The hood and the fenders of the new project are come from the new Challenger MT 600 D series (very difficult to get one in Europe). The rear axle receives a Rockwell ring and pinion gear, a homemade aluminium center section, a homemade differential and modified MAN/Mercedes planetary carrier housing with new MAN planetaries. 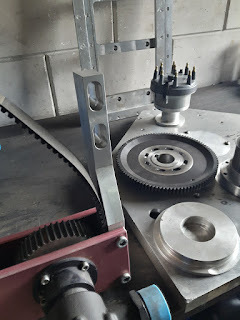 The Tractor also gets a 11" inch Molinari centrifugal clutch with 4 discs, a homemade flywheel and a Browell clutch bell housing. 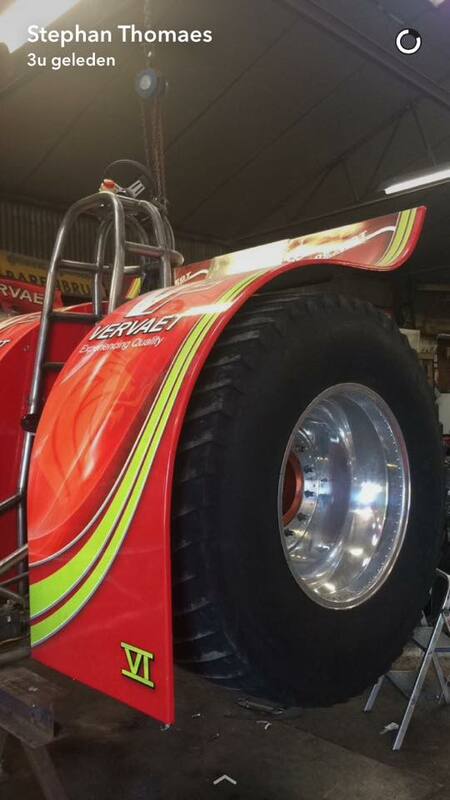 Kees has purchased for his new ride a set of new Midwest rims with new Firestone Puller 2000 HP Pro Stock tyres. The new Light Super Stock called ,,Ruff Stuff" will have a Caterpillar V8 engine on methanol. The engine receives a 3208 Caterpillar engine block bored to 466cui with Darton sleeves, a 4.1 stroke counterweighted stock CAT crankshaft, homemade aluminuim rods and CP-Carrillo billet aluminium pistons, revised 3208 Caterpillar cylinder heads, new special made camshafts, new bigger Victory valves and better springs from PAC, a homemade intake and exhaust manifold, a billet Holset HX 82 turbocharger from Santen Technics with a 4.25" inch intake wheel, a VSP (Veldhuizen Special Products) alcohol fuel system, a homemade fuel tank, a MSD 8 Plus ignition and a Racepak datalogger. The Ruff Stuff Pulling Team will compete with their new Challenger MT 600 D Light Super Stock in the Dutch National Championship next year. 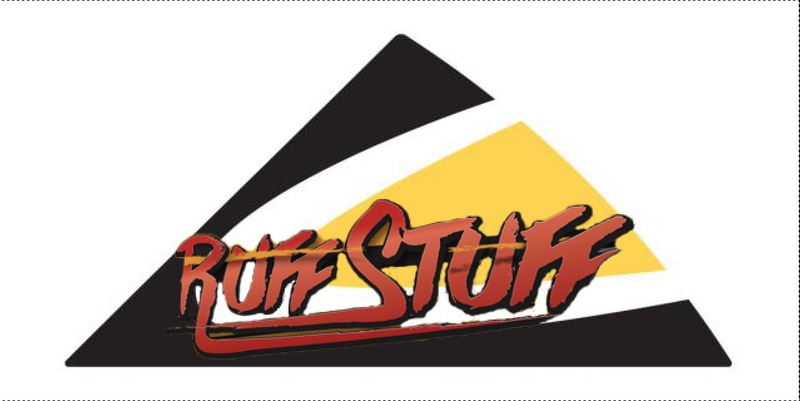 The first start of the new ,,Ruff Stuff" is planned for 2017. White Horse 7 sold ! 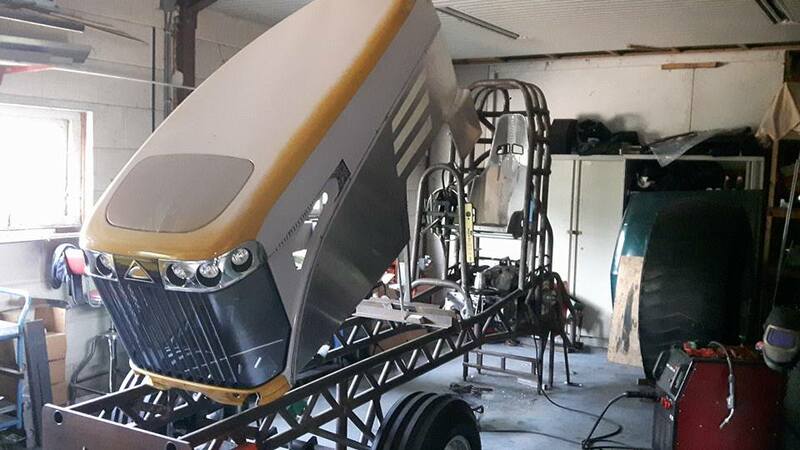 The Dutch Klimov Isotov TV 3 117 powered Modified Tractor called ,,White Horse 7" from Uden was sold to Izaak Luteijn from Breskens in the Netherlands. The Tractor will not return on the Pulling tracks in the future. 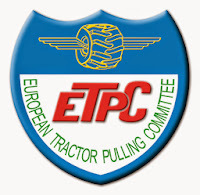 The Russian Roulette Pulling Team will use the old Modified Tractor as spare parts storage (Turbines etc.) for their Light Mod Tractor called ,,Russian Roulette XL". The White Horse 7 was built in 1996 / 1997 for the 3.5t and 4.5t Modified class. Thank you and a Merry Christmas ! 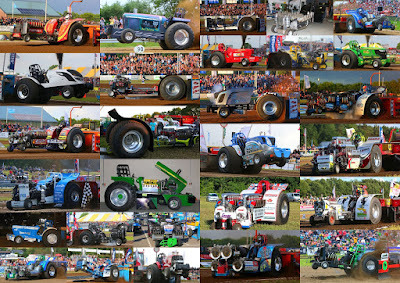 The whole pullingworld.com Team wishes all readers, Sponsors and Pulling Teams a Merry Christmas and a happy new year ! The year is almost over and before I forget it, I would also like to give a big thanks to all the Pulling Teams, drivers and our sponsors for the great support during the season. Without the information, pictures and the help of the Teams from all around the World, it wouldn't be currently possible to make a website like this ! I also hope the great cooperation with the Teams, drivers and our sponsors will be continue next year! Berrie Boer, 26 years old from Ijsselmuiden, in the Netherlands. Berrie is the constructor and driver of the Pulling Tractors called ,,Double Screamin´´ , ,,Wicked Screamer´´ and ,,Bobcat Jr.´´. He also won the European Championship title in the Light Mod class this year. Berrie Boer: Spending time with my girlfriend and making our new house ready. Berrie Boer: The constantly development of technic. Always trying to think about new things so you are always 1 step ahead of the competition. Berrie Boer: The Flevohof in The Netherlands I think it was 1994. Berrie Boer: Pulltown USA (Bowling Green) and Made (NL). Berrie Boer: Bernay 2007. The Screamin’ Bobcat TWD. Berrie Boer: To many to cal. 8 times European Champion in Light Modified but also winning this year an session in Tomah and Bowling Green is special. The Championship with the Bobcat Jr. in the PPL last year was also special. 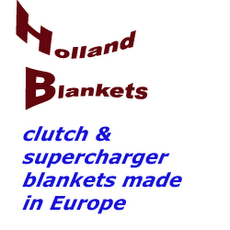 Berrie Boer: I like mini the most and then Light Modified, Modified and then Unlimited (from light to heavy ;) ). I also really like to watch Pro Stocks. Berrie Boer: Losing the famous Bowling Green ring this year with just only 20cm to go, the Tractor jumped out of gear. I already had the ring halfway my finger. Berrie Boer: An less busy schedule and better prepared tracks. It’s also important to promote the sport to (young) people. A lot of people are thinking, I’m not able to join that sport. 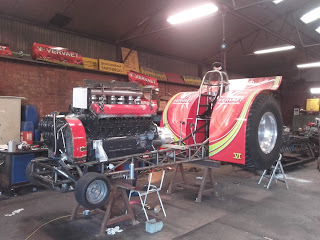 Give them some basic information and motivation to join Tractor Pulling as an competitor. Berrie Boer: To have an lot of fun and hoping to win some more big events in the USA and Europe. Berrie Boer: That we became friends with the Dirtslinger Team in the USA and they threat us as Family. It’s real special that people that share the same passion can work so good together and achieves wins and championships. Berrie Boer: This winter to built an lot of Mini chassis for USA costumers. pullingworld.com: Something you want to say? Berrie Boer: Keep people updated by pullingworld. 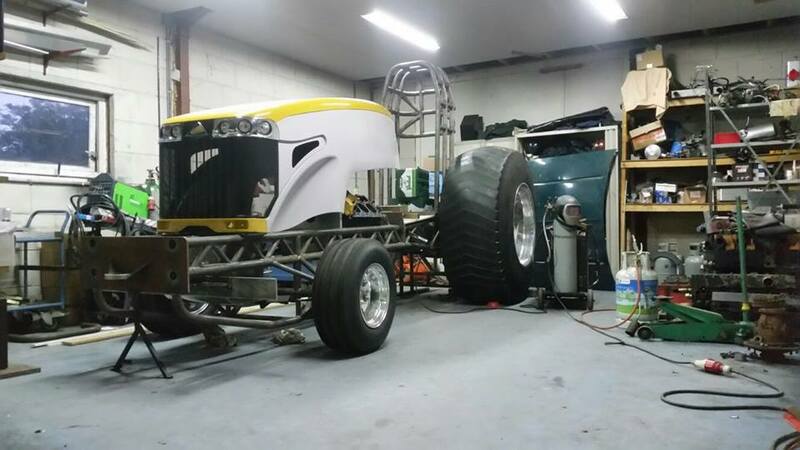 It’s nice to see and the reports of Teams are an motivation to anybody to built or buy their own Pulling Tractor. pullingworld.com: Thank you for your time and good luck ! 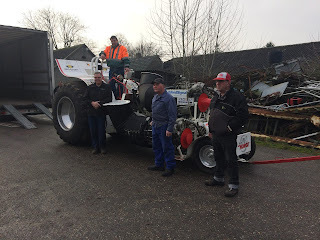 The Reny Mission Impossible Pulling Team from Duizel in the Netherlands are currently working on a new 950kg Mini Modified Tractor. The new Mini Modified gets a new homemade 25CrMo4 tube frame with a homemade 25CrMo4 Rollcage (ROP), a homemade steering, homemade Aluminium whellie bars and a Domex rear axle housing from Vreeman Special Products. 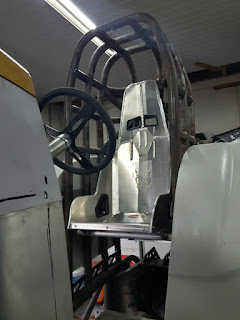 The drivers position is 30cm more forward and the center of gravety is lower on the new frame of the Mini Rod. The position of the engine also is 24cm more forward, than on his older brother. The Team hopes to get a better balance with those changes. der Waal Pulling Parts Methanol fuel pump and a homemade ignition with Mallory parts. 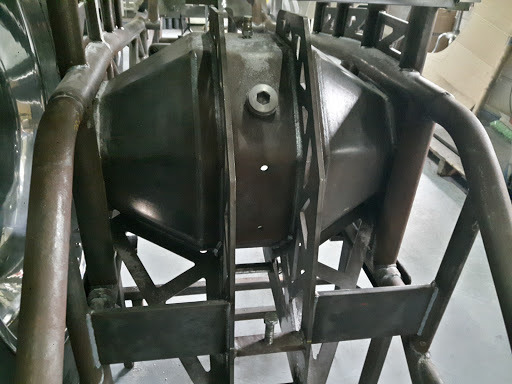 Because of the weight, the cylinder banks were milled down, the water jacket removed and the spark plugs exempted. The transmission on the front end of the Allison engine for the Pro Charger will have a homemade housing with special made gears from Vreeman Special Products and special made driveshafts for the camshaft drive. The Dutch Team will compete in the Dutch Grand National Championship and in the Euro Cup next year. The Reny Mission Impossible Pulling Team hopes to be ready with their new Allison V12 powered Mini Modified for the Indoor Pull in Zwolle at the 28th of January 2017.
homemade reverser based on a Eaton Fuller and a ZF AS Tronic gearbox. 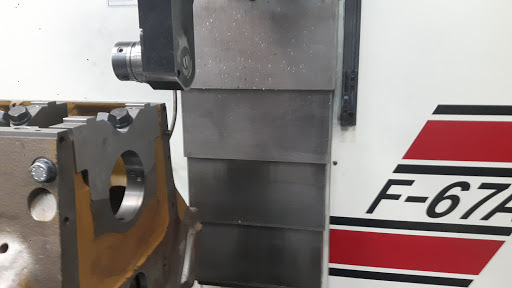 The housing for the reverser was CNC milled by Luteijn Metaalbewerking (Ab Luteijn) in Breskens, the Netherlands. 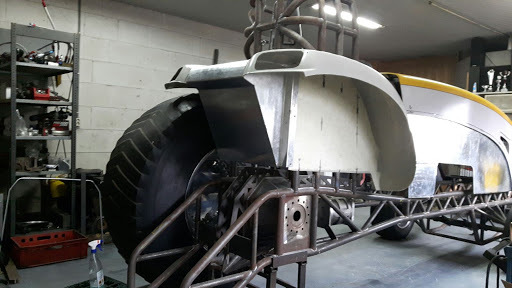 The vehicle receives a 12.5´´ inch Molinari centrifugal clutch with 4 discs and a homemade clutch bell housing. 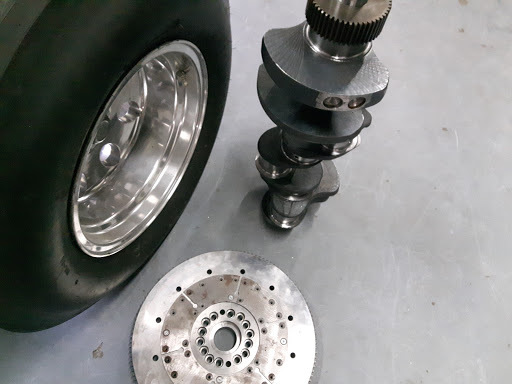 The Green Spirit gets a set of Northern Sheen rims with new Firestone Puller 2000 HP tyres. The rims come from the old twin Griffon Tractor called ,,Green Spirit 6´´. The carbon fiber fenders of the Mod are also come from the old twin Griffon. The Light Mod will have a RR Griffon V12 MK58 Aircraft engine on methanol. 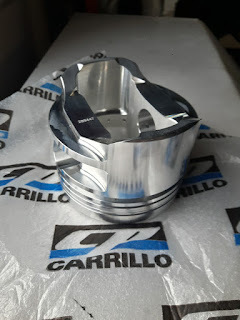 The Griffon engine receives a homemade aluminium air intake funel and a aluminium intake manifold, homemade exhaust pipes, revised cylinder heads with revised camshafts, Toolox rods from Henk Pastoor with modified Griffon pistons, a stock crankshaft, a homemade fuel tank, a Waterman methanol fuel pump, a Mallory Mag 4 ignition with updated coils and a Dewesoft Miniature (101) datalogger with dashboard, GPS and Camera. The Team starts with a Hilborn based fuel setup on the engine. But the setup should be changed later on. 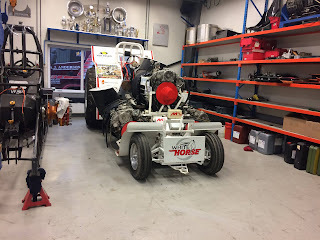 The Dutch Team will compete in Dutch Grand National Championship and in the Euro Cup next year. 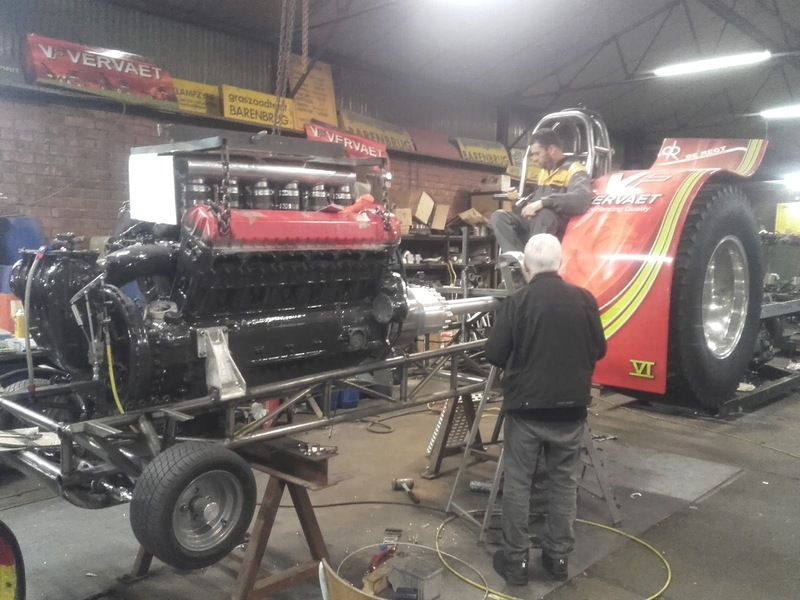 The first start of the new Green Spirit 8 is planned for the 28th of January 2017, at the Indoor Tractor Pull in Zwolle, the Netherlands. Emil Roth, 33 years old from Allarp in Sweden. Emil is the owner of the turbocharged V8 Hemi powered Mini Rod called ,,Swedish Iron Toy´´. Emil Roth: Industrial machinery mechanic. Emil Roth: The opportunity to try my own technical ideas. Emil Roth: EC Hörby 1987. Emil Roth: Lidköping, 1999 I think. Emil Roth: The 4th place we got on the 2016 EC. Emil Roth: Made 2015 , we thought we knew how to do It then, but no! 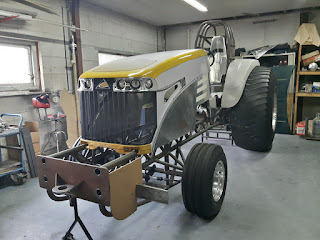 Emil Roth: The weight classes and limits have to be set on a longer period, like 6-8 years , no one will built a new Tractor and then after 3 years new rules make your Tractor worthless, maybe even before you made It to the track! Emil Roth: Get that turbo thing working in the Mini class! Emil Roth: The fight between Fredrik Andersson (Savage Heart) and Per Andersson (Semi Tough) in the mid -90 running the Swedish Championship. Bad Boy´s Toy sold !